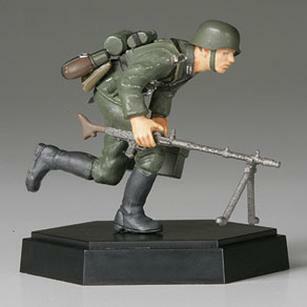 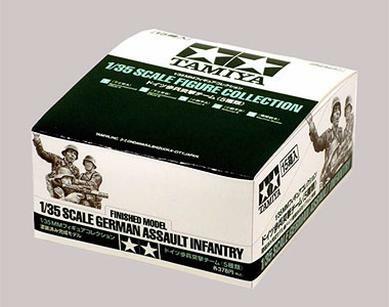 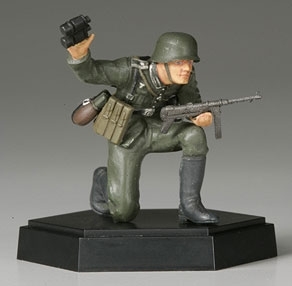 Tamiya introduces a set of 5 fully assembled and painted 1/35 Military Miniature Series German infantry soldiers. 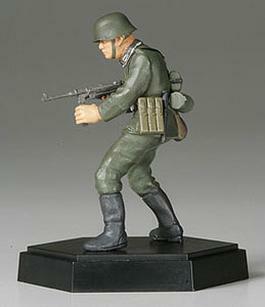 Set includes 3 figures from the 1/35 German Assault Troops Kit and 2 figures from the 1/35 German Panzer Grenadiers Kit. 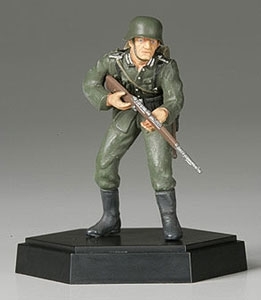 Each soldier is painted in standard early WWII infantry field jacket and comes equipped with gun and survival equipment including dufflebag, canteen, gas mask case, shovel, pouches etc. 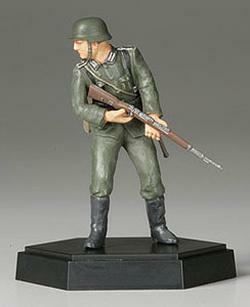 Special Feature 1 Hexagonal base and double-sided tape for easy display. 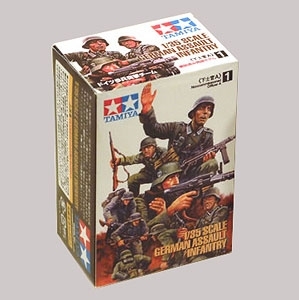 Special Feature 2 Display box displaying all 15 models (3 models each).